David Kidwell's immaculate 1937 Studebaker coup on display at the second annual HeroHomes Cruise In. Area businesses and classic car enthusiasts teamed up Saturday to help give war veterans a better life. 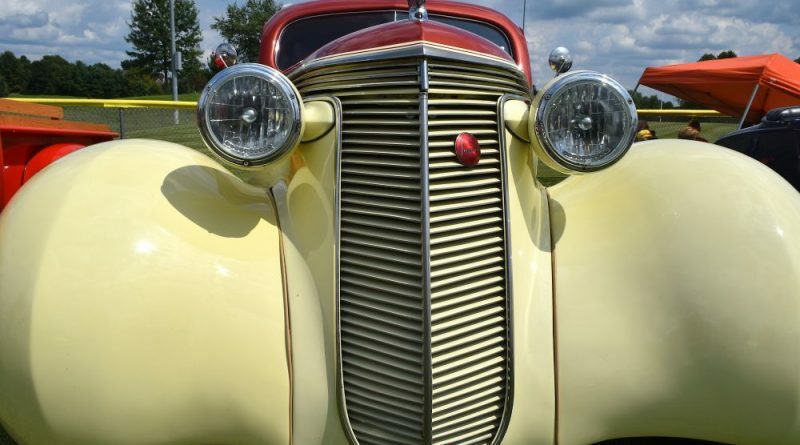 The second annual HeroHomes Cruise In at Franklin Park drew scores of antique cars and hot rods and hundreds of visitors. The mission of the Purcellville-based nonprofit is to build houses for returning war vets and their families. The organization completed its first home last spring, donating it to an Apache helicopter pilot who served four tours in Iraq and one in Afghanistan, logging 1,550 hours of combat flight time before his back was badly damaged in a hard landing. Crews are working on second home in Round Hill for Staff Sergeant Jarrad Davenport and his family. Davenport was wounded during an IRAM rocket attack at an outpost in Iraq in 2011. A third home is planned near Hillsboro for William Slease III, a M1A1 tank commander who served four combat tours.